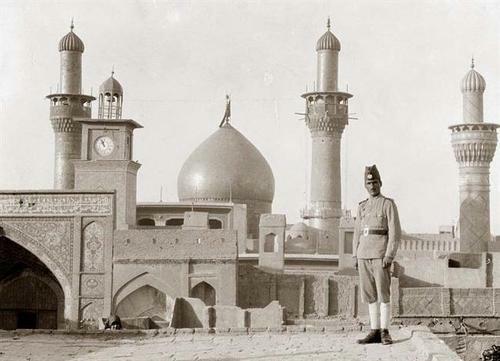 Among the most atrocious acts committed in modern Islamic history has been the sack of Karbala in 1802. Unfortunately, this remains a little known fact to most Muslims. 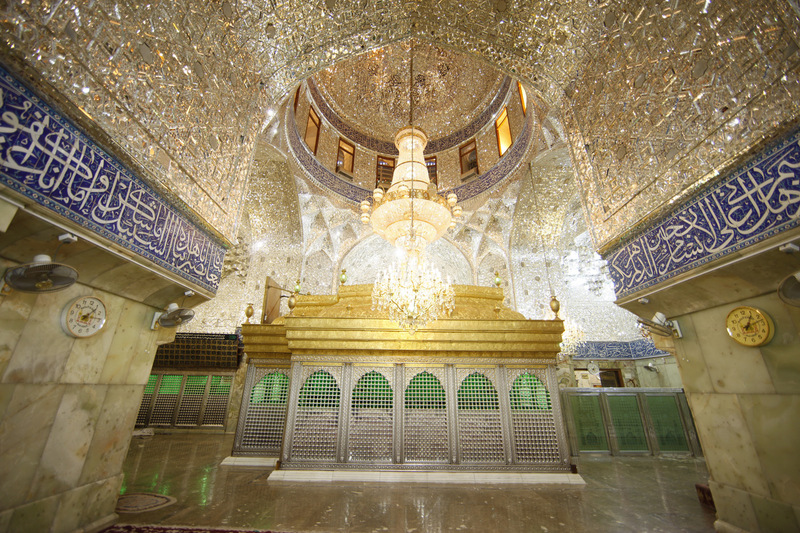 However, at a time when the cultural and religious heritage of the Muslim world is once against under severe threat, when shrines and mosques are bulldozed by the self-styled holy warriors and caliphs of our time, it remains more essential than ever to familiarize ourselves with these historical events. It is crucial to note that the Wahhabis—not unlike modern-day militants—were inspired by a mix of religious zeal and a desire for wealth. 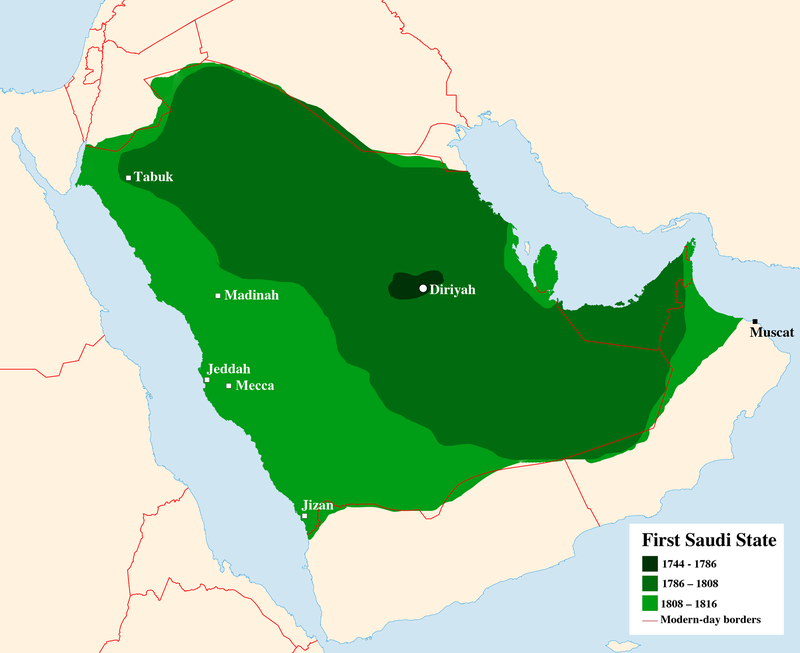 By 1802, the Wahhabi-Saudi state had seized control of the vast majority of the Arabian peninsula and even managed to raid into southern Iraq, then under Ottoman control. One of the worst massacres was committed at Karbala in April 1802, right before the beginning of the holy month of Muharram, during the pilgrimage to the shrine of Imam al-Husayn b. Ali (d. 680). The following are two accounts, one by an eyewitness, a non-Muslim Frenchmen, and the other by a Wahhabi propagandist writing in Arabia during the eighteenth century. This entry was posted in History, Translations by ballandalus. Bookmark the permalink. Wahhabism is a menace, not only for Shias but for Sunnis too. Wahhabis are not Sunnis, they are a bunch of hypocrites belonging to Yazidi dynasty. Muhammad Bin Abdul Wahhab, by establishing tyrannical falsified Islamic regime of minority Saud clan of Nejd has in fact introduced terrorism in Islam. All these criminals of Al Qaeda, ISIS, Boko Haram, Jeish E Muhammadi of Pakistan, Talibans in Afghanistan & Pakistan have their roots in Muhammad Bin Abdul Wahhab. Saudi regime is spreading this poisonous version in the name of Islam in Muslim anf non Muslim countries by constructing thousands of mosques & other so called Islamic institutions. They extend scholarships to thousands of young boys from these countries to take theological courses in their line in theological schools of Saudi Arabia mainly Medina University. ISIS is doing now what Wahhabis did 200 years ago. There is no difference between ISIS, BOKO HARAM, ANSAR E DIN, TALIBANS & Wahhabism. Wahhabis are destroying all those historical sites associated with Islam, our Holy Prophet, peace be upon him, his companions and Awlia Allah. Wahhabi influence in many countries have reached a dangerous point. Muslims – Sunnis & Shia- must unite to stop spread of Wahhabism, put pressure on world’s civilized countries to warn Saudis not to finance spreading Wahhabism, a dangerous menace for entire civilization. Princes and kings of corruption and prostitution! We did review the history of Al Saoud on different Blogs, and we have said: Originally, they are Jews since the 15th century having the monopole of Trade between Bassora and Daria. With the Wahhabism, they have found the stratagem giving them a virginity, presenting themselves as radical Muslims! In darkness under the protection of England and later United States of America, the Saudis are the first allayed of Zionism and Israel. All difficulties facing Muslims and Arabs (terrorism everywhere), they are engineered by this corrupt and criminal family. We,the Shias lack ,Education,wealth ,and passion for the beliefs and teachings of the prophet(PBUH) , This is the first time I have come across an article about the 1802 sacking of Karbala. We lack writers,Scholars and Students ,this should be considered a serious matter ,specially in light of the present day danger of ISIS, Saudi Arabia, and Wahabis every where . Shias ,Please wake up , Get involved in higher education and Business ! How would the world know ,what these Wahabis (i.e . Saudis ) are doing to destroy Shia Islam and their religious Monuments, Unless we write books about them so that there is a lesson for the coming generations ????? A very interesting and valuable resource you’ve created on the early 19th Century Wahhabi v. Shia conflict. The modern parallels are profound and yet so few have ever heard of it. I have tried to find details on the Web for quite a while. This is the best and most detailed description I have found. Du drame de Karbala à celui de Sanaa et Aden! En 1802, Al Saoude ne comptaient que sur l´Angleterre et l´argent des futurs israélites en Palestine. Aujourd´hui, Al Saoude sont sous la protection des USA, l´Angleterre, la France et l´Allemagne. Quant aux petits vassaux calibre royaume alaouite marocain, craignant la perte de leurs trônes et privilèges, ils ne sont là que pour les pétrodollars et les exigences israélites. La participation des soldats marocains aux conflits syrien, irakien et yéménite, elle n´augure rien de bon pour toute l´Afrique du nord. Saud and her family destroy the holy mosque of imam hussain and the tomb of hasan & bibe fatima & other relatives of our prophet. They also destroy the janatul baqi in which many sahaba & wife of prophet was buried. It means that they are the enemy of ahle baiyat. They are truely belong to yazid. Insallh islam will once again the super power of the world. Is there any documents on the “..Originally, they are Jews since the 15th century having the monopole of Trade between Bassora and Daria.” ? This is an interesting find. Sounds like total BS to me, typical Muslim hate of anything Jewish. More than sure, they are, and for this great reason America is giveing them all support, as with Isarel.